Business To Business Capital Corp. ( BTB Capital Corp ) is an invoice factoring company that provides growth capital primarily to small, medium and large sized business such as manufacturers, wholesalers, distributors and service companies. The process by which Business To Business Capital Corp. provides this capital is called Accounts Receivable Financing or also referred to as Financial Factoring and Invoice Discounting. Our invoice factoring company was started in 2002, with the sole purpose of providing great service, fair rates, and honest and straightforward communication. We have over 35 years of combined experience in the a/r factoring industry and understand that if used correctly; financial factoring services can help your business grow. We are willing and capable of assisting you in moving toward a regular bank credit facility and work with many banks that can make that transition smooth and easy for your business. Since 1989, Christine has held senior management positions in California factoring companies. Under her leadership, these factoring companies have flourished. Christine's ability to analyze and understand the validity and integrity of factoring collateral is unsurpassed. Christine excels at the development of policies, implementation of processes, procedures, and long-range planning, collateral management, client relations, portfolio development, long-range planning, and maintaining underwriting integrity. 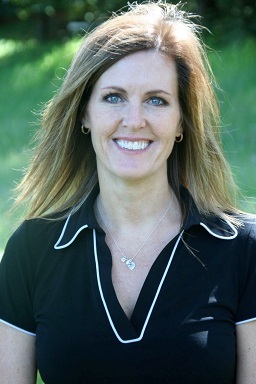 Christine is skilled in the development and maintenance of a diverse portfolio. Christine will maintain positive high quality client and investor relations. She received a Bachelor of Sciences in Finance from Santa Clara University in 1989. Greg is a successful entrepreneur, angel investor, business consultant and meditation trainer and coach. Greg is the founding President of the Silicon Valley Chapter of the Young Entrepreneurs Organization - YEO, a non-profit group providing support and training for over 7,000 entrepreneurs (under the age of 40) worldwide. Prior to co-founding BTB Capital, a California factoring company, In 1994, Mr. De Vries founded DeVries Data Systems, Inc., which became a Full Moon Interactive Company in 1999. DeVries Data was named the 35th fastest growing company in the nation by Deloitte and Touche for the period from 1994 to 1998 with over 7,340% revenue growth during that period. For two consecutive years, DeVries was named the 3rd fastest growing company in Silicon Valley by the San Jose Business Journal. Greg received a Bachelor of Sciences in Decision and Information Systems from Santa Clara University in 1989.